Ascaryacudamani, a drama in seven Acts has been accepted as the earliest of Sanskrit dramas composed in the ,southern part of India. The author Saktibhadra is believed to have been a contemporary of Adi Sankara on the basis of a story that the budding genius had read out the play to the Jagatguru before it was enacted. The theme for the play has been drawn from the great epic of Ramayana though the playwright has introduced his own innovations by introducing a duplicate set' of Rama, Sita and Laksmana with the magical powers in which Raksasas are proficient. It is the wondrous crest-jewel and the equally efficacious ring gifted to them by the hermits of Dandakaranya that enables Rama and Sita to divine the tricks that were being played on them by the deceitful Raksasas, The emotions that dominate the plays are those of the 'heroic' (vira) and of wonder (adbhuta) with the frequent interplay of srngara, karuna and others also. The play opens with the Surpanakha episode and the construction of the hermitage at Pancavati and ends with the killing of Ravana and the return to Ayodhya in the aerial car after the fire ordeal. Among the great Ramayana plays Ascaryacudamani has a prominent place along with the famous plays of Bhasa and Bhavabhuti. Dr. K.P.A. Menon, B.Sc., M.A, LL.B, Ph .D. Chancellor of the Lal Bahadur Shastri Rashtriya Sanskrit Vidyapeeth, New Delhi is and eminent scholar, scientist an administrator who has held many important assignments in the government including the post of Defence Secretary to the Govt. of India. Epic poetry and dramas have been his special field of interest and he is also trying to unearth the vast treasures contained in Sanskrit literature in diverse fields like agriculture, science and technology, polity etc: He is the Recipient of a large number of national and international awards including the Honorary Fellowship of Biographical Academy of the Commonwealth & International Biographical Centre, Combridge, Distinguished Leadership Award of the American Biographical Institute, Albert Eeinsteir Memorial Medal the Sahityanikasa and the Kalidasa Awards for his Sanskrit writings. Ascaryacudamani a drama in seven Acts has been generally accepted as the earliest of Sanskrit plays produced in the southern part of India. We have not so far come across any other play of greater antiquity either in Kerala or any other part of South India, nor is there any reference available to any dramatist of an earlier date. The author does make it clear that Sanskrit dramas were being regularly staged in Kerala. 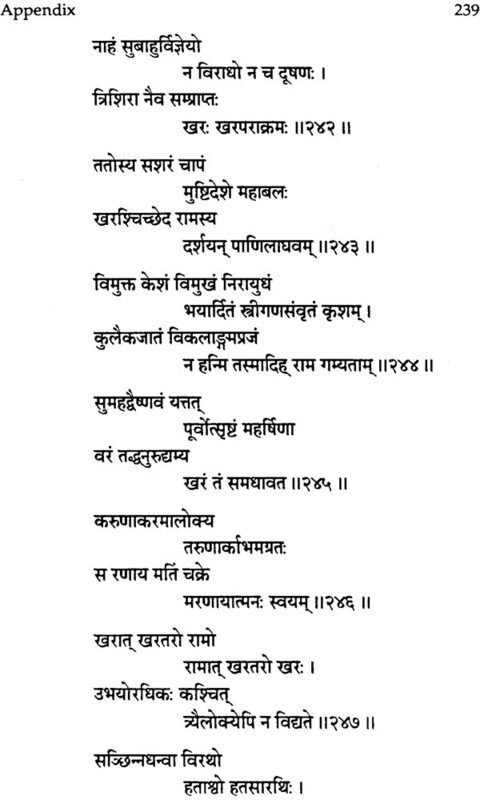 At the same time, there is a reference to Saktibhadra and his composition, the Ascaryacudamani, in the treatise on stage-plays known as Attaprakaram ascribed to King Ramavarma Kulasekhara, the royal dramatist, who flourished, most probably, in the latter of half of the 9th century A.D. It could possibly be assumed that, with the production of Saktibhadra's play the literary genius of Kerala was stepping into maturity from the stage of adolescence. Adi Sankara who is qualified with the title of Jagatguru or the preceptor of the universe and the royal saint Kulasekhara Alvar, the author of Mukundamala must have flourished some time before Saktibhadra, but their compositions are not to be judged on the basis of literary merit alone. Adi Sankara was concerned with higher levels of knowledge and in his case literature was only a vehicle for the transmission of knowledge or the Knowledge Absolute. Similarly, the compositions of Kulasekhara whether in Sanskrit or Tamil, get their pre-eminent place primarily on the basis of the devotional ecstacy generated in the minds of devotees and readers. 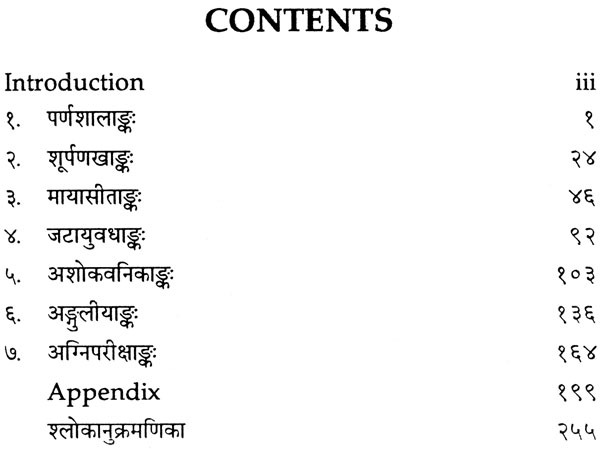 Of the voluminous literature produced in Sanskrit during this period very little has been preserved for posterity though the number could not have been small. From the early centuries of the Christian era the great epics and classical compositions of the great masters of Sanskrit literature had been making their entry into the South-western part of Bharatavarsa with surprising rapidity as will be apparent from the influence exerted by them on the authors of this region. In the Prelude to Ascaryacudamani the playwright is being introduced as the author of such poetic compositions like Unmadavasavadattam. Since the numerical expression is in the plural form of Sanskrit Unmdavasavadattaprabhrtinam not in singular or dual form it could be assumed that he must have been the author of at least three major works and they had all attained some renown. These could have been kavyas of different types and following the dictum Natakantam Kavitvam the budding genius appears to have made an attempt to establish himself as a poet of merit through a play of the Nataka category presented to a critical and discerning audience. The staging of a Sanskrit play produced by a poet of Kerala could be considered as an important water-mark in the history of Kerala's literature. The dramatic compositions of Bhasa, Kalidasa and others were being presented to the scholarly crowd all the time and it required a lot of courage to produce a play that could be introduced on the stage as a rival or substitute to the well-known works of the great masters. That was what was being attempted by Saktibhadra and history tells us that he succeeded. The Author and his times We are able to gather only the barest of details about the author of Ascaryacudamani from the Prelude. 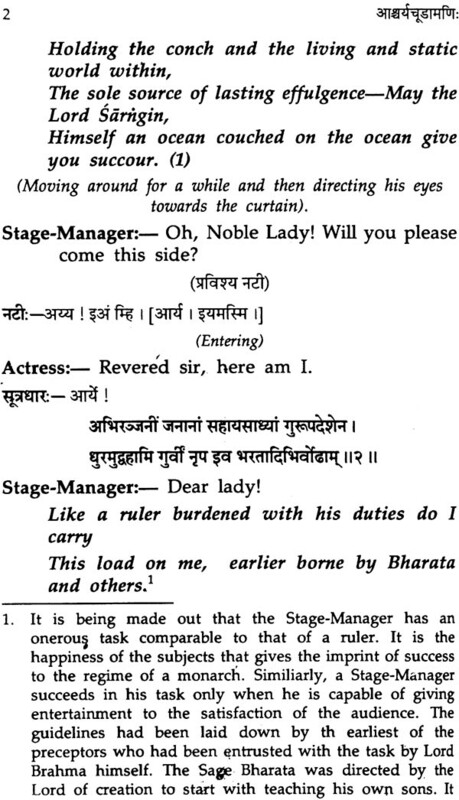 In speaking about himself the author of the play seems to have taken Kalidasa as his model rather than Bhavabhuti and others who have left some details about their family connections and place of birth. We can gather this much only from the conversation between the Stage-Manager and the Actress that Saktibhadra belonged to the Southern part of India and he was the author of certain other works like Unamadavasavadattam. It is not even mentioned that he hailed from Kerala. Though the author's name is given as Saktibhadra it does not really mean that it was his real name. Many poets used to assume pen names that were different from their actual names. There are some who earned a name by certain attributes characteristic of their compositions. It is believed that the poet Sukumara got that name by which he became famous due to the mellifluent style of his poetry, Sukumarapadalalityam as it is known. 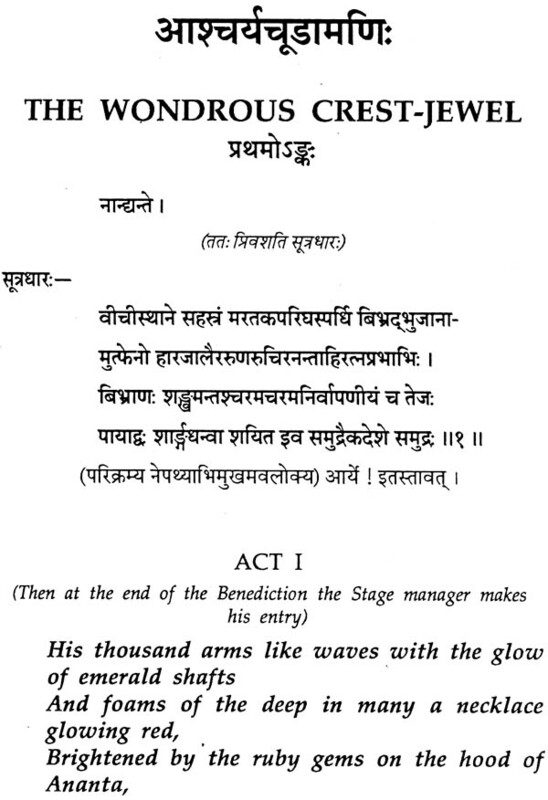 All that we know in the present case is that the author describes himself as Saktibhadra in the Prelude to the play and that this was his maiden attempt in the field of stage production. According to Uloor. S. Parameswara Aiyer the great litterateur and historian in this field, Saktibhadra belonged to a brahmana family of Chengannur village. The household was known as Chennikara Svarupam within the taluk (a revenue division) of Kunnathur. Saktibhadra was a title and not his real name which might have been Sankara. This is the general belief not supported by any concrete evidence. This brahmana household had some functionary responsibility in respect of a local shrine of Thiruvarpur. The family was left with only two female members towards the latter half of the 18th Century A.D. and they were adopted into another brahmana household by about 1791 A.D. Thus the household to which Saktibhadra belonged became extinct towards the end of that century and their titles passed on to another brahmana household of Vakka Vanipuzha. Judging from the only work of his that is available to posterity Saktibhadra must have been a great scholar, well-versed in all the sastras. Unfortunately we know nothing at all about his preceptor or educational career. There is one anecdote or rather a legend that connects him with Jagatguru Adi Sankara. It is being mentioned that Saktibhadra had the privilege of reading out his newly composed drama Ascaryacudamani to Adi Sankara while he was camping at Chengannur. The great saint listened to it with a good deal of attention but made no comments because he was observing a vow of silence for one whole year. Saktibhadara felt terribly pained that the great preceptor did not make any comment at all. His work must have been mere trash in the eyes of the great scholar, he thought, and in his despair he destroyed the manuscript. After the year of silence was over, Sankara happened to visit that village once again and he made interested enquires about the scholar who had read out his newly composed drama to him. In his conversation he addressed Saktibhadra as Bhuvanabhuti, an expression that surprised the author himself. 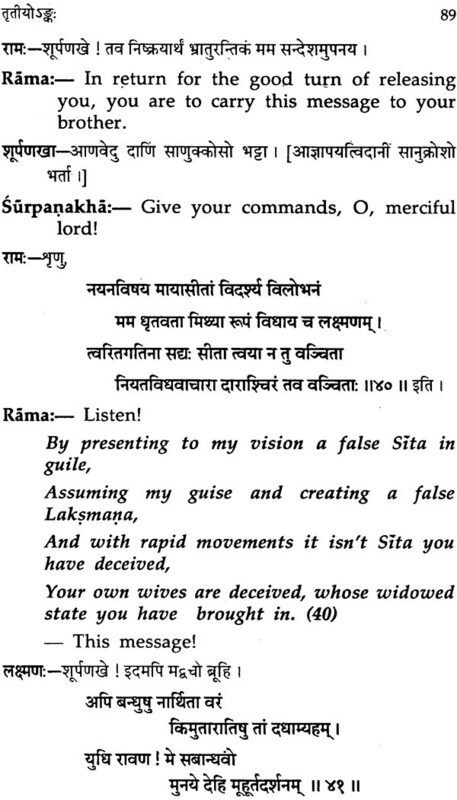 Sankara was referring to the effective use of that word in one of the verses in the 2nd Act of the play. It was great news to the author that his play had been so much appreciated by the Jagatguru. Sankara then enquired of him how his stage production was progressing. Saktibhadra replied that he had confined his drama to the flames and, on further enquiry, he added that he had no other copy of the destroyed manuscript. The story goes on that Sankara dictated the whole play as preserved in his memory to the author who himself had forgotten most of it by this time. One cannot be sure whether much credence should be given to this story because similar stories are current about certain other authors and compositions also connecting them all with Adi Sankara. What is relevant for our study is the fact that there are some anecdotes correcting the author of Ascaryacudamani with Adi Sankara. It supports the is common belief that Saktibhadra is the earliest playwright of Kerala and might have lived one or two centuries before the royal dramatist of Kulasekhara dynasty. Though we get very little information about the author himself from his only work that has survived, the drama itself helps us a lot in drawing our own inferences about the progress of Sanskritic studies in the state of its origin. The two epics Ramayana and Mahabharata must have been quite popular in the Cera kingdom for a few centuries if playwrights could think of dramas with episodes from these epics for their themes. Ramavarma Kulasekhara of 9th century A.D. had drawn from the Mahabharata for two of his plays, Subhdradhananjayam and Tapatisamvaranam and he had dealt with some episodes of, Ramayana in his third play Vicchinnabhisekam, Saktibhadra is dealing with certain well-known episodes of Ramayana in his play, possibly the only one composed by him. 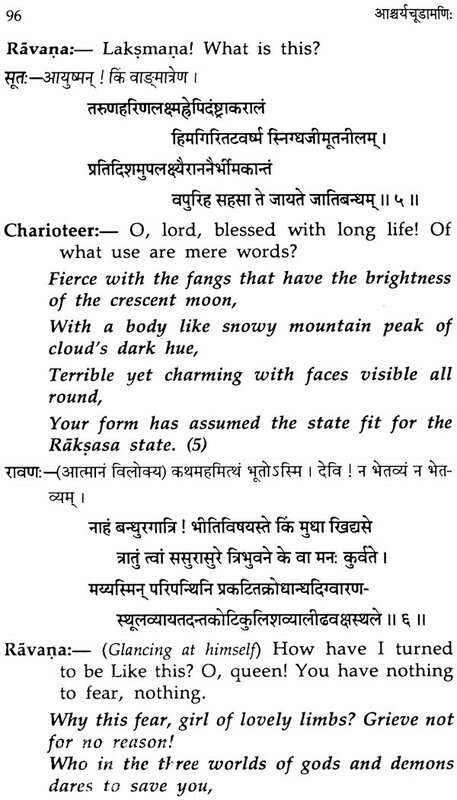 Apart from the epics the poet seems to have been fully conversant with the dramas of Kalidasa and Bhasa and quite possibly with Bhavabhuti and others as well. The learned audience of the period must have been regularly witnessing the play of the great masters and the author of Ascaryacudamani himself must have been one of the most regular among them. That must have put the idea into his head that he too could make an attempt in this line following the foot-steps of his predecessors hailing from the northern part of the country. That he considered: it a bold and innovative task is apparent from the conversation between the Stage Manager and the Actress in the Prelude. At the very outset the Stage Manager is remarking that he is carrying a heavy load of responsibility on his shoulders. On being questioned about it, he clarifies that he was to stage for the first time in the history of the stage, a Sanskrit play composed by a poet from the southern part of India. The Actress is full of apprehensions on this account. What comes from the mouth of the Actress could actually be taken as the apprehensions of the author himself about his maiden venture. "How could a poet from the southern part of India have the courage to produce a play?" That is what the actress has in her mind as she comments. Actress: "Unbelievable indeed, The sky may very well put forth blossoms and oil come out of sand if a drama could come from the south". The poet is full of justifiable self-confidence. Merit does not depend upon the region and there is no reason why some one from the south cannot produce a drama provided he has the merit. That is how he feels about it even like Kalidasa who asserts in his first stage production that old is always not gold and something need not be decried on the ground that it is new. Saktibhadra makes it clear that he has already given a satisfactory account of himself through some of his literary productions like Unmadavasavadattam. He must have felt that he had become sufficiently mature to try his hand at a full-fledged stage production coming under the category of Nataka. While it is not possible to make a definite pronouncement about the date of Saktibhadra it could be safely assumed that he must have lived a few decades or may be, even a centruy prior to the author of Subhadradhananjayam and Tapatisamvaranam. 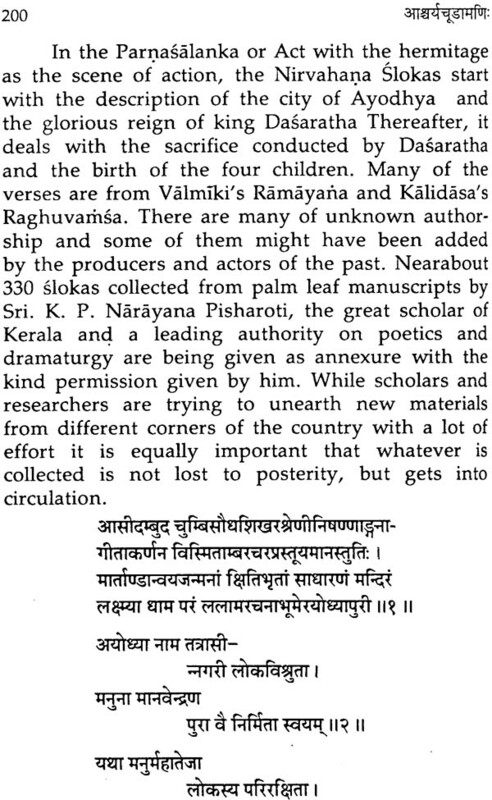 A contrary view has been taken by Prof. Rama Pisharoti on the ground that in the prologue of Tapatisamvaranam there are references to Sudraka, Kalidasa, Harsa and Dandin but not to Saktibhadra. This argument based on Saktibhadra not figuring in the list of illustrious names quoted cannot be considered as convincing in the absence of any other material. 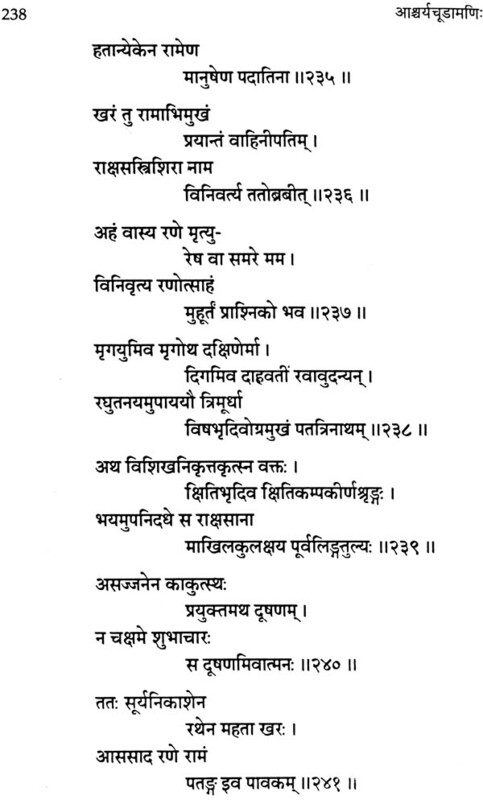 According to Wintertnitz "The actress who asks the Sutradhara if he is going to stage a composition of the great poets Sudraka, Kalidasa, Harsa Dandin and so on, is not bound to give a complete catalogue of the poets known at that time. That the names are chosen at random may be concluded from the mention of Dandin who is not known as a dramatist, while we should expect only authors of dramas to be mentioned." 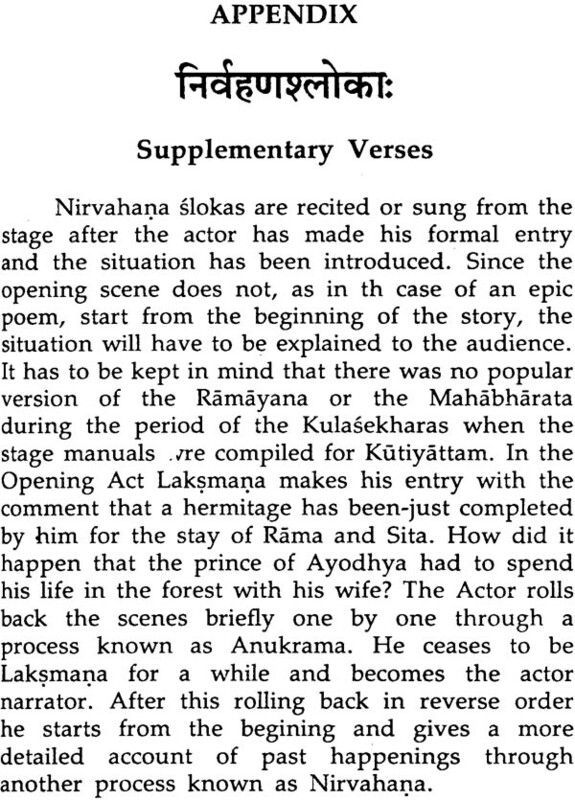 On the other hand, it would appear that Saktibhadra's play was being regularly staged along with other plays of Bhasa, Kalidasa and others when stage-guides for Sanskrit plays were composed during the regime of the royal dramatist Kulasekhara by his court poet, Tolan. Kulasekhara plays were also added to the list but Ascaryacudamani was having a prominent place during this period which it has all along retained. 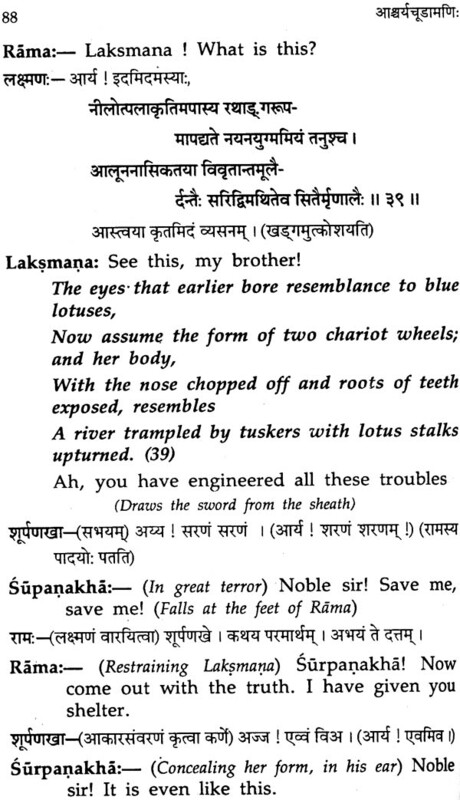 There is no reference to the absence of Sanskrit plays composed in South India in the Prologue of Subhadradhananjayam and Tapatisamvaranam as we find in Saktibhadra's play. Under these circumstances it could be safely concluded that Saktibhadra is a predecessor of Ramavarma Kulasekhara and was according to present knowledge, the path-breaker in this field for the whole of South India.